Edwin Markham American poet, leapt to fame with one poem, "The Man with the Hoe." Edwin Markham was born Charles Edward Anson Markham in Oregon City, Ore., on April 23, 1852, the youngest of 10 children. When he was 4, his mother took him to a small farm north of San Francisco; shortly thereafter she remarried. Markham attended rural schools, worked as a cowboy and ranch hand, ran away from home at least once, and at the age of 16 entered California College in Vacaville. Two years later he transferred to San Jose State Normal School, from which he graduated in 1872. Markham's first teaching jobs were in the mountains of San Luis Obispo County, Calif., then at Christian College in Santa Rosa, and finally at Coloma. In 1875 he married Annie Cox and became county superintendent of schools. In 1884 he divorced his wife and became a school headmaster in Hayward. In 1887 he remarried and became a school principal in Oakland. 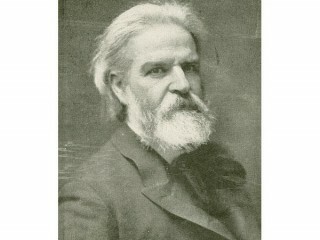 During the next 10 years, under the adopted name of Edwin Markham, he built up a small reputation as a poet in the pages of the Century Magazine, the Overland Monthly, and Scribner's Magazine. On his first trip east, in 1893, he met William Dean Howells and Edmund Clarence Stedman; both had admired his work. He married his third wife, Anna Murphy, in 1897. On Jan. 15, 1899, the San Francisco Examiner published "The Man with the Hoe," 49 lines of traditional blank verse inspired by Jean FranÃ§ois Millet's painting. This protest against exploited labor "flew eastward across the continent like a contagion" and on around the world. Its popularity cannot be overestimated. Before the year was out, Markham's first collection, The Man with the Hoe and Other Poems, appeared. He followed it with Lincoln and Other Poems (1901). For the next 40 years Markham's reputation slowly deflated as newer poetic styles came into fashion. His later volumes—The Shoes of Happiness (1915), The Gates of Paradise (1920), and New Poems (1932)—reveal a continuing concern for the underdog but also, in the love lyrics and the flights of rhetoric, a thin reedy voice coupled with a pedestrian vocabulary. As a lecturer and literary journalist, however, Markham traveled the familiar circuits, delighting women's clubs. Most notable was the invitation of former president William Howard Taft in 1922 to read "Lincoln, the Man of the People" at the dedication of the Lincoln Memorial in Washington, D.C. The Markhams had moved to Brooklyn in 1900. The East, thereafter, was their home, particularly Staten Island. Before his death, on March 7, 1940, Markham received innumerable honors as the "Dean of American Poetry." But, with the exception of his now legendary poem, lasting fame was not his. View the full website biography of Edwin Markham.